Joomly Callback is a popular Joomla 3 module for displaying a callback form on the website. The module is very easy to install and configure. 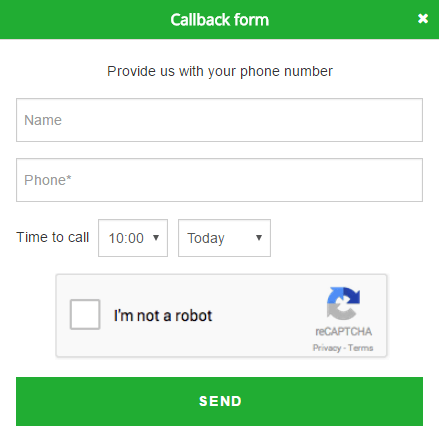 The main features of the module: The ability to specify in the settings the company's working schedule, receiving orders for email, the ability to display consent for personal data processing, the ability to customize the appearance, display the form in a popup window, the ability to display the usual sticky button to call the form, support Recaptcha 2, Google Analytics integration. 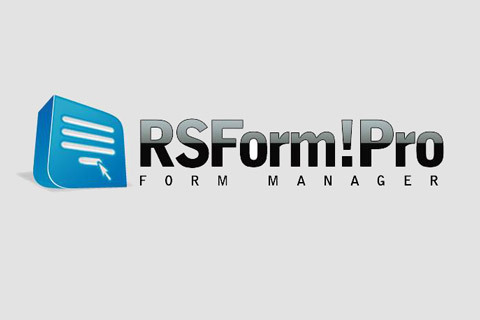 RSForm! PRO v2.2.0 - new release of the most popular and indispensable tool for creating arbitrary Joomla forms 3. Features of the form designer: the ability to create multilingual forms without having to repeat information, check the form filling information, compatibility with all popular Internet browsers, support for responsive design (developed with using Bootstrap, support for invisible CAPTCHA, the ability to paginate forms, page checking on the fly, a convenient interface for managing the layout of the form using a grid structure urs, support forms GDPR. Introducing the latest release of the most popular and functional Joomla extension for building RSForm fom! PRO v2.1.6. This tool allows you to quickly create and edit forms of any complexity (simple, complex, dynamic and multi-page). 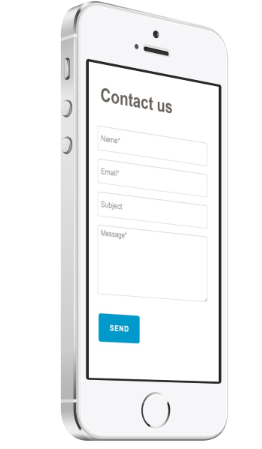 The main features of the component are: quick and easy creation of forms that comply with the rules of the GDPR, a convenient grid system with the ability to create a form layout (creating lines and dragging fields), supporting popular interface environments (UIKIT, Bootstrap, Zurb Foundation), spam protection, exporting and much another. The new version adds new useful features. Joomly Contactus Premium v3.22 - the popular and easily set up contact form for the websites on the Joomla platform. This Joomla module easy-to-customize and installations. You can quickly realize classical and pop-up forms by means of the convenient composer. There is a possibility of loading of files and adding of Recaptcha. It is possible to look at all sent messages in the admin panel. Features of extension: the pure and sympathetic design, existence of flexible settings of design, a template is more whole than Google Analytics, the designer of the form, a call of modal windows, the sticky button and a possibility of placement of several forms on one page. JoomTestimonials v1.5.1.5 - one of the best components of responses for the websites under control of Joomla! By means of this extension and the Joomla module 3 users can send the responses and display them a creative and beautiful method. All features: the administrator can easily control all added responses, easily set up design and a prototype (setup of a font, color design, a time scale, the quote), support of all Joomla of frameworks, adding of different fields (mail, an avatar, video, category, a name, the website, rating), notification messages and are a lot of other opportunities.